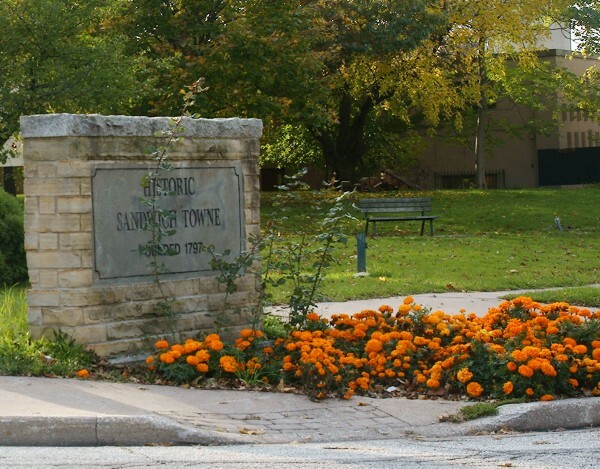 As you enter Olde Sandwich Town from University Avenue or Riverside Drive, there is a small parkette that greets you. While this area may look to be a city-owned-and-maintained park, it is not. The 2,300 square metre park is located at the corner of Detroit and Sandwich Street and at one time was a Petro-Canada gas station (closed 1992). The gas station’s buildings were knocked down and the property was covered with gravel and left in poor condition. In 1995, the city entered into a one year lease with Suncor Energy to maintain the property and create a small park while the land went up for sale. The lease was for $1.00. This issues first came to council in August and it was recommended by Administration that the city not continue to lease this park. Under a new agreement with Suncor Energy, the City of Windsor will maintain the land as a park for a lease of $1 a year for ten years — if approved at Council next week.